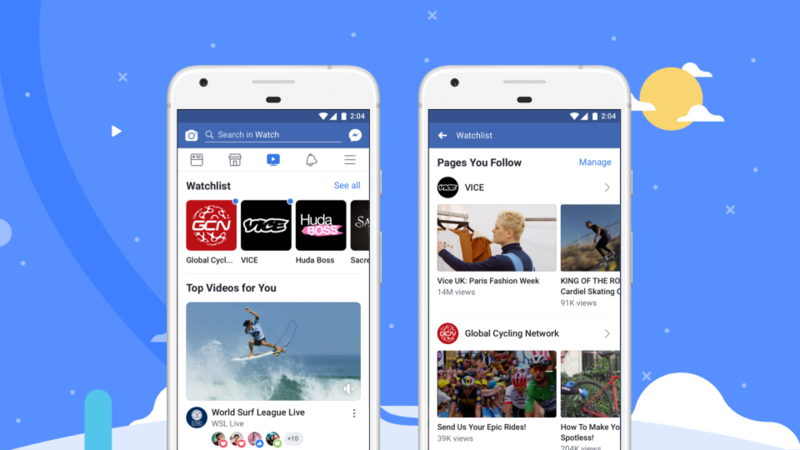 A year ago, Facebook launched Watch for its U.S. users, but today, the social media giant announced that Watch is available globally, so everyone can discover new content and interact with each other. This also opens up wider audiences for creators, and gives new ones the ability to join the fray. So for all of you outside the U.S., Facebook wants to call special attention to some of Watch's features. Obviously, the goal is to help you find new videos to watch, ranging from sports and news to entertainment, and your feed will be personalized to match your interests. When you go to it, you'll see the Watchlist, where Facebook will collect recently-uploaded videos from the creators you've chosen to follow. Watch also supports saving a video for later viewing. The big aim here is to improve audience interaction with content, so that you individually feel like you're a part of a community. Later on down the line, Facebook says you'll be able to join Watch Parties, Premieres, and other content that's tailored for participation (like games). Watch can be found in the shortcuts bar or in the "More" section on Android, and it's also available on Android TV, Apple TV, Fire TV, Samsung Smart TV, Oculus TV, and Xbox One.